I don't get to do too many blogging trips, due to my work constraints, homeschooling all the kids, and our very time-consuming acreage. When I do get invited somewhere, I have to carefully consider whether it will be a good partnership (which is why I do less than 2 a year.) 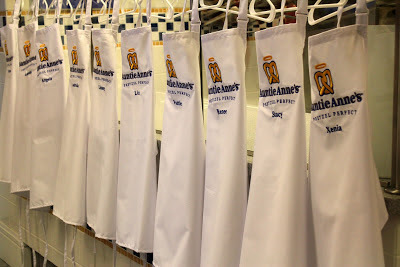 When I was asked to be an Auntie Anne's Blog Ambassador and take a trip to the home office in Lancaster, PA, I couldn't be more excited! I had seen an episode of "Be the Boss" on TV, and I instantly fell in the love with the people and culture displayed on the program. But would they really be that family-oriented in real life? 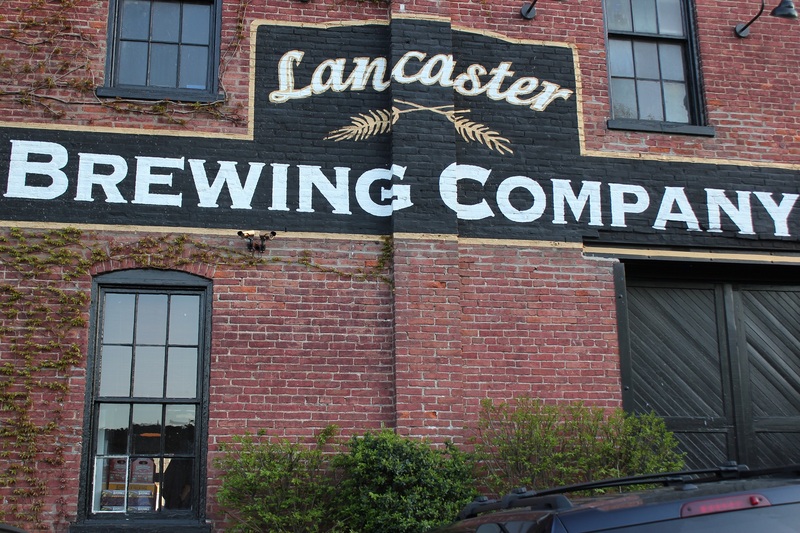 I arrived in Lancaster after quite a drive from the Philly airport, and I was greeted by a few bloggers I already knew (and ones that I didn't know.) I knew it was going to be a fun event! 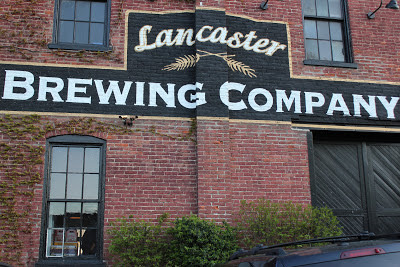 Headed to my room at the Cork Factory Hotel, we were welcomed with gift baskets before heading out to dine at the Lancaster Brewing Company. 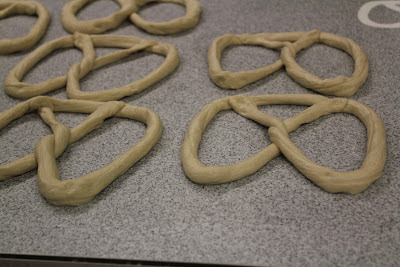 After dinner, we headed to bed; we had a big day of Auntie Anne's Pretzel University ahead of us! 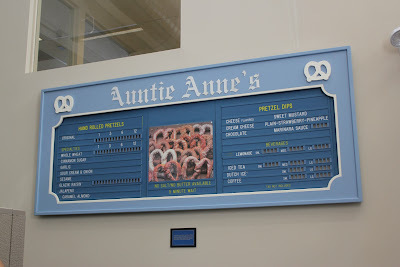 Arriving at the Auntie Anne's HQ the next day, we were greeted with applause from the employees. It was weird, only being a mom blogger, but it was nice seeing so many friendly faces. 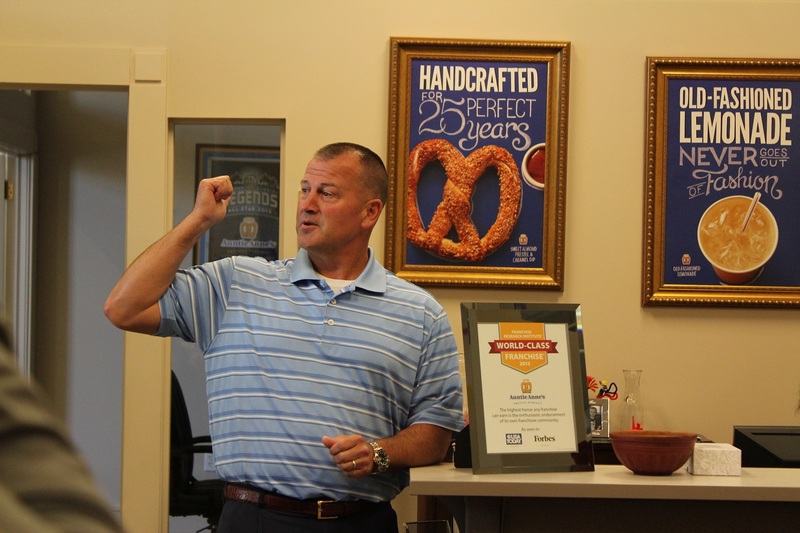 We listened to President Bill Dunn share a bit about the company, and we were on our way! 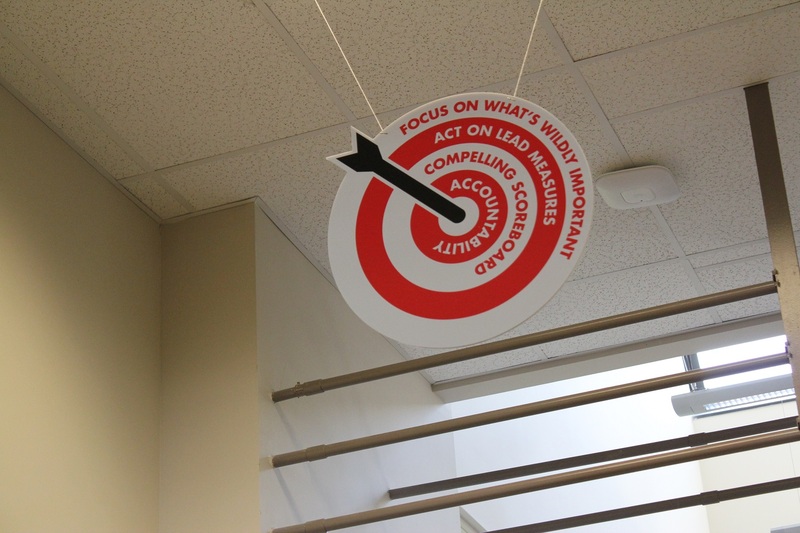 As we toured the offices, it was easy to see that this company was like a large family. They had signage everywhere reminding employees of the mission - and the delicious product! I especially loved seeing all the nostalgia placed throughout the historic building; it was like taking a trip back into time, when Auntie Anne's was first getting started! We were then surprised by a special guest: Anne Beiler, the founder of Auntie Anne's pretzels! She was so warm and had a faithful spirit about her. 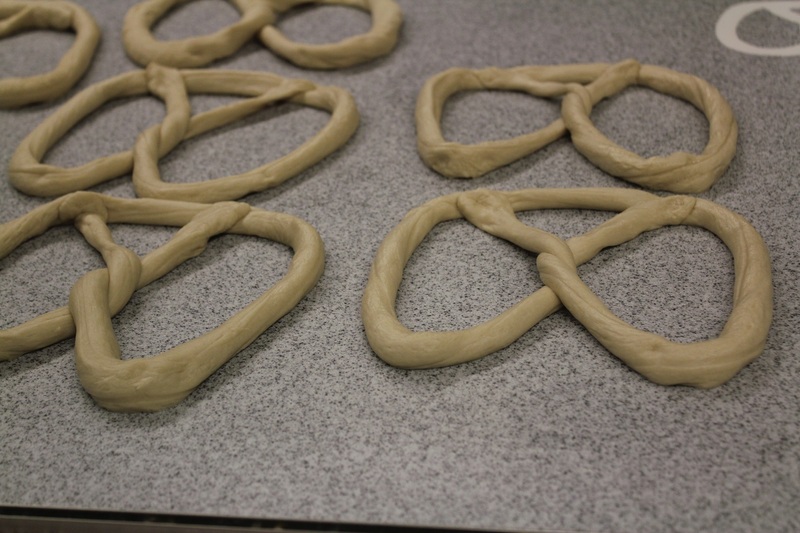 She hugged us all and took pictures before setting me straight on some bad pretzel-twisting habits I had picked up in the few minutes I had been there. 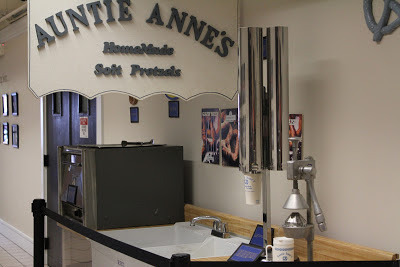 I had such an amazing time, both learning about the company and their partnership with great charities like Alex's Lemonade Stand (more on that later) and with all the new blogging relationships I made and rekindled. We laughed and ate quite a bit... making it one of the most relaxing and fun trips I've been on in years! So what did I take away from the trip? 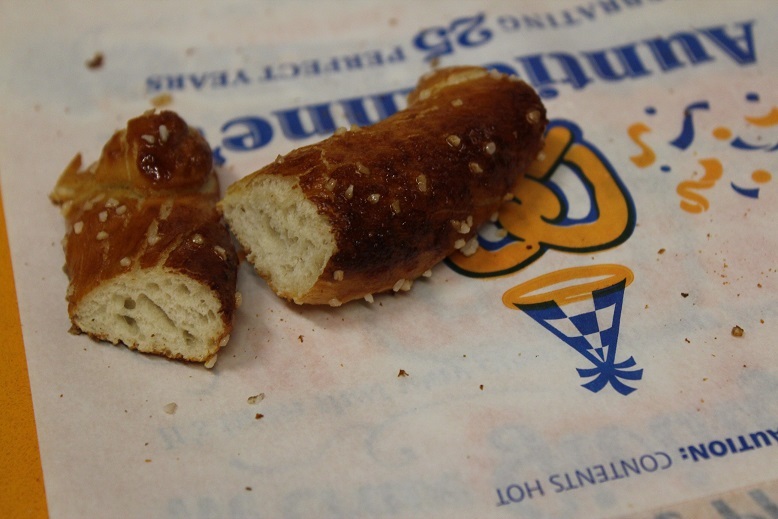 A new appreciation for a wonderful company and an addiction to cinnamon-sugar pretzels. Seriously. Even with all the pretzels I had the chance to eat in the 2 days I was there, I had to stop off for another one while waiting for my flight home. They are that comforting! You can learn more about the Auntie Anne's brand and products at their official website, on Twitter, or via Facebook. I'll be sharing more news and product updates later in the year. I'm so excited to be partnering with an honorable and upstanding company! 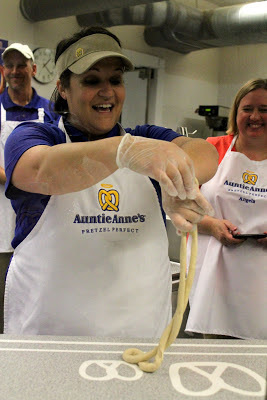 *Trip, accommodations, and samples received as an official Auntie Anne's Blogger Ambassador. Opinions are 100% my own, and I have not been further compensated for my time and views.